Leave the nonmagical world behind and enroll in Hogwarts School of Witchcraft and Wizardry as Harry Potter, wizard-in-training, learning to master all things magical in a world filled with adventure, fun, and danger. 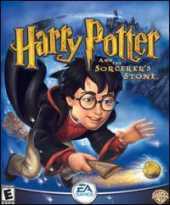 Along the way, Harry will explore the halls of Hogwarts and its surrounding grounds, study to be a wizard, learn Quidditch, collect objects to solve puzzles, become skilled at spells and potions, discover secret passages and locations, and interact with memorable characters from J.K. Rowling's magical world. It features an array of stealth-based gameplay as well as traditional encounters sneaking around to avoid confrontations with nosey characters like Filch and Peeves. Many of the adventures are dynamic, leading to environments that change over time, such as moving stairs and relocating classrooms. It features a fast, arcade-style Quidditch game. There's also four key types of obstacles and challenges: physical obstacles, environmental puzzles, stealth objectives, and confrontations. Using the Unreal game engine, the game looks quite good.